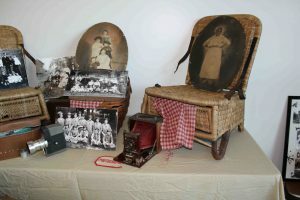 When people visit The Dade City Heritage and Cultural Museum they’ll not only have a chance to learn about Dade City’s history but also to get to feel — literally — objects that are part of the city’s past. Joy Lynn, director of the museum, said the idea is to give visitors a true hands-on experience. Items on loan to the museum will be kept behind glass, but many of the objects in the collection will be available for guests to pick up and hold. Also, instead of reading all about the items on display, museum staff will share stories about the items with visitors, Lynn said. It’s important that items kept in the collection help reveal Dade City’s history, Lynn said. Objects on display at the museum must be from Dade City proper, not some nearby place, the museum director said. They also need to help provide a glimpse into the city’s history. “Most everything in the building has a story, or some significance that will develop a memory when you leave here,” the museum director said. 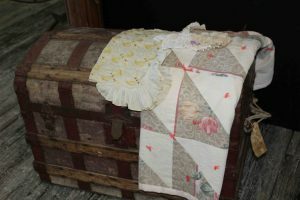 “If it doesn’t have a significant story — you can buy it at a yard sale, it’s just a piece,” she said. The official ribbon cutting for the train depot museum was on Feb. 14, a date deliberately chosen to signify that history and heritage are at the heart of Dade City, Lynn said. 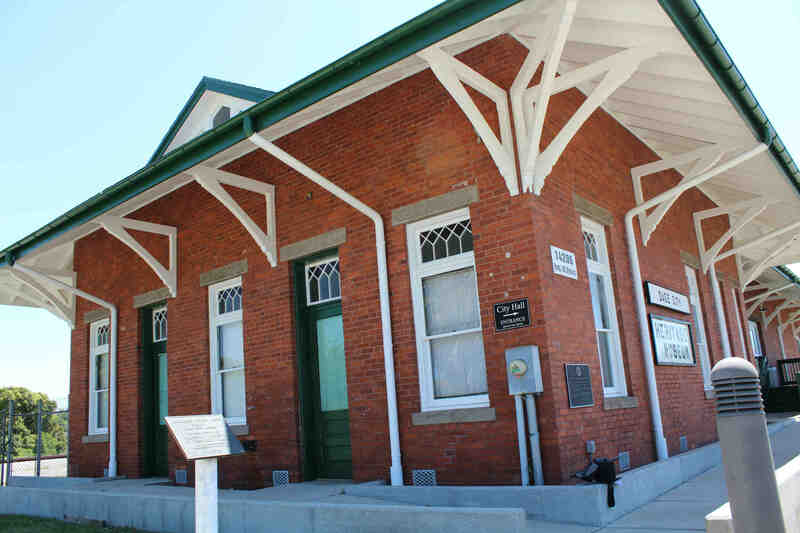 The train depot, where the museum is housed, also has a rich history. It was built in 1912 by the Atlantic Coast Line Railroad, now known as CSX. Originally, it accommodated freight and passenger traffic. Ask museum staff to get details regarding the history of this trunk and quilt. “Designed in a traditional style for southern railroad depots constructed in the late 19th and early 20th century, this building is utilitarian in layout, yet possesses finely crafted structural and ornamental Folk Victorian style details,” according to documents related to its historic designation. The building’s architectural elements include gable dormers, bay window, wraparound loading platform, and interior finishes, the document says. “Railroad stations served as major community commercial and social centers, linking each of the small towns with the rest of the world. At the turn of the century, therefore, railroads and associated depots play a significant role in the development of central Florida communities, such as Dade City,” the document adds. A display of some old photographs and old cameras. “Of the four historic railroad depots that have served Dade City, the Dade City Atlantic Coast Line Railroad Depot is the only one that remains,” the document continues. In addition to the collection at the museum, staff will help tell Dade City’s story through downtown walking tours. The walking tours are offered on Mondays, Thursdays and Fridays, from 9 a.m. to 11 a.m. The museum also plans to present a Haunted History walking tour on the first Friday evening of the month, which it held for the first time on April 5. To find out more about the museum and its events, visit DadeCityHeritageMuseum.org. Details: The museum offers visitors a chance to see artifacts from Dade City and to hear the stories behind them. In addition to visiting the museum, it also is possible to learn about Dade City’s history by taking a walking tour downtown. Those are offered on Mondays, Thursdays and Fridays from 9 a.m. to 11 a.m.
Info: Call (352) 424-5778, or visit DadeCityHeritageMuseum.org.